I recently upgraded both of my PCs to the latest Windows 10 Anniversary update. And unlike others, my experience was as smooth as butter for the most part. Everything from the downloading of updates to their installation proceeded without any error. I didn’t even lose any of my installed programs from the update. One thing annoying me, however, is the change in the position of the Calender clock on the taskbar. As you can see in the image above, the date time section has been shifted from the extreme right in order to provide space for the Action center icon. Being a traditionalist of sorts, I don’t like this change at all. This, of course, is not to say that it is not usable. I like having my notifications and alerts in a single place for which the Action center is a great tool. The placement, however in the anniversary update has messed up its position. I liked the small icon that the action center had before the update in the notifications bar. 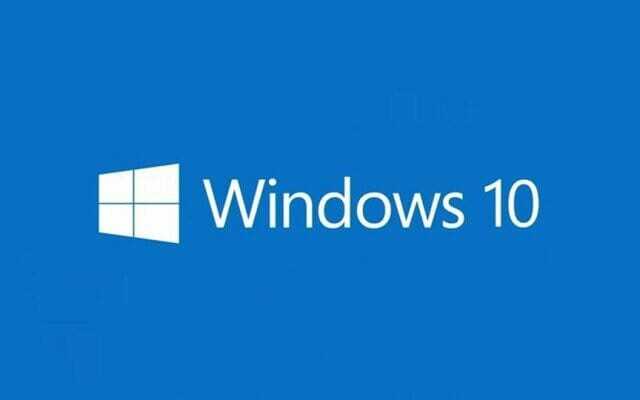 Fortunately, there is an option provided by MS to disable this icon using the Settings app in Windows 10. All we have to do is disable the system icon for the Action center. Right click on the taskbar and click on Settings. Scroll down a bit, and click on Turn system icons on or off below the Notification area heading. In here, turn off the Action Center by clicking on the stitch which is on by default. You can also disable things like Clock, Volume and Network icons here. The changes you make here are applied instantly so you can tinker the default system icons to your heart’s content. 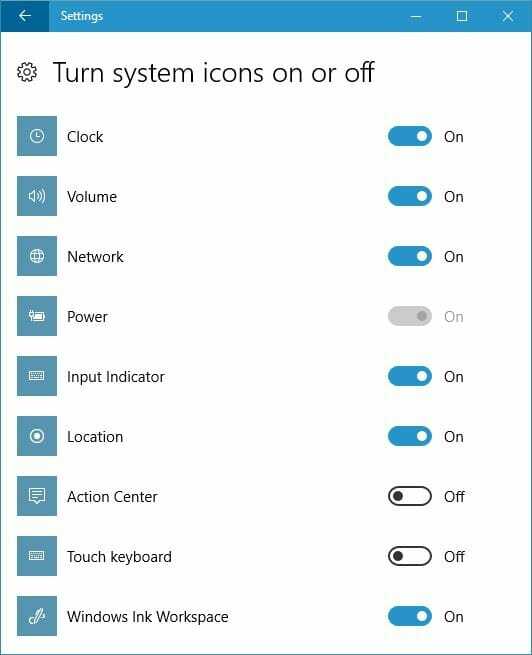 In case you if you ever feel the need to have the Action center icon show up on the taskbar, you can just reverse this process by turning on the AC icon from the Settings.